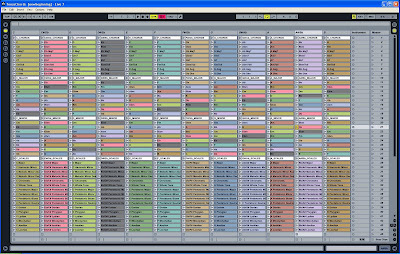 I've finally gotten around to posting about my AMS file Utility for Ableton Live. It lets you create endless harmonic oscillators in Simpler and Sampler. It also lets you export microtonal and/or traditionally tuned zones using your own custom waveform shape. It's a little easier in Sampler because it gets the key mapping from the files themselves (just drag a bunch onto the zone editor) while Simpler makes you work for it with racks, but it's not too bad to get going since the key mapping is appended to the file name. 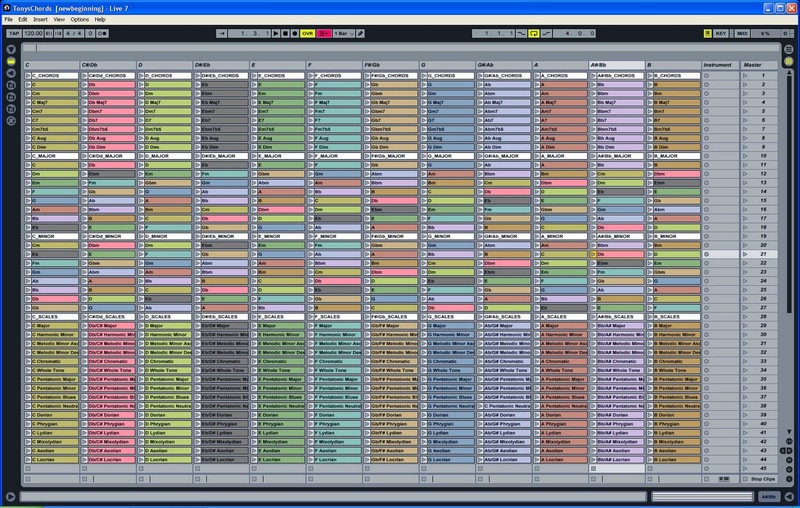 My audio/midi sequencer of choice is Ableton Live. It has several features to keep me busy but one of its most useful and unique features is the session view. In it, you can create little "clips" that contain audio or midi and launch them programmatically using follow-actions. I'm not going to explain the inner workings of Ableton's session view but just know that it allows you to compose non-linearly, by allowing you to play discrete chunks of audio/midi for pre-determined amounts of time, followed by another pre-determined (or randomly selected) clip. This behavior was the inspiration for the mobo sequencer. The mobo sequencer exploits the well known DotNet method System.Beep(frequency, duration). This is more commonly known as the obnoxious sound that comes off of your x86 motherboard whenever you make a huge mistake (I hear it often). The sound doesn't have to be entirely obnoxious though. By recording the sequenced output and applying eq, compression and/or various other effects, the sound is more than useable in many forms of electronic music.